The White House has unveiled it's prolific and highly anticipated new strategy for conducting counter-terrorism operations globally, behind closed doors, and has issued a public statement. The 45th President of the United States of America remains one of the world’s strongest leaders in actions against those who would seek to engage in global terrorism, displayed by today's statement on his accord. President Donald Trump issued a “National Strategy for Counterterrorism, ” on Thursday. It’s the U.S. government’s first overarching counterterrorism strategy since President Obama’s in 2011, which was preceded by George W. Bush’s in 2006. This marks a highlight of the appointment of National Security Advisor John Bolton, who has spoken tough talk on Syria and Iran in the past. Bolton pushed for the eventual strategy which was unveiled in a briefing with reporters, saying it is meant to address the "increasingly complex and evolving terrorist threat" to the United States. "We look at all of the threatening ideologies that we facing, including not just Sunni ideologies, but the Islamic Revolution of 1979 emanating from Iran," Bolton said. President Trump said the new approach "will help protect our great Nation, enhance our national security, and guide our continued effort to defeat terrorists and terrorist organizations that threaten the United States." According to the “Zohar,” and the “Holy Bible,” Biblical characters are often described as “God's thought,” if not “God's will,” so there happens to be a broadening “Prophecy” discussion amongst religions surrounding Trump's Middle East policy. 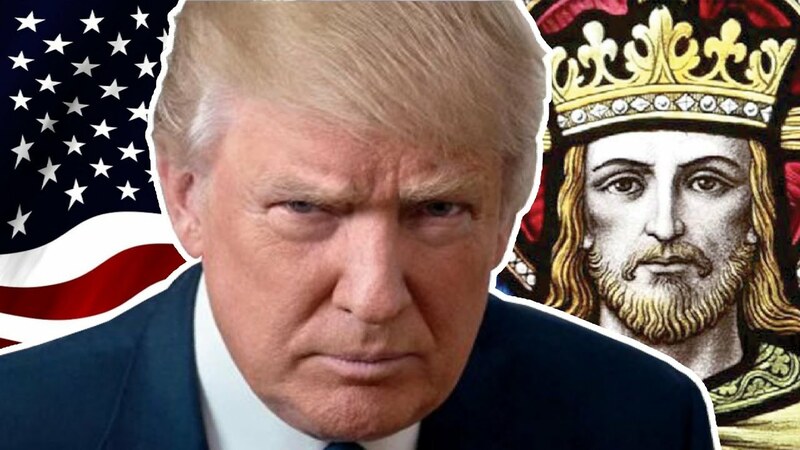 Some suggest Trump, who could be considered as an heir to King David's bloodline, could be fulfilling this prophecy of the religious and spiritual world. Whether that is indeed the reality of our current situation, President Trump continues to unveil policies that create a strong American economy, and a budget which fluctuates with results that matter. The<a href="https://thegoldwater.com/news/36410-364-Illegal-Alien-Arrests-in-Six-State-ICE-Raid-187-Repeat-Felons"> President's tough stance on immigration </a>has remained a point that keeps his popularity high, alongside<a href="https://thegoldwater.com/news/36403-POTUS-Promises-267-Billion-More-in-Tariffs-on-China-in-America-First-Victory"> Trump's “America First” Trade War </a>that continues to crush China. But it's<a href="https://thegoldwater.com/news/38453-Trump-s-Negotiation-Brilliance-Displayed-in-Successful-USMCA-Trade-Deal"> Trump's Negotiation Brilliance on display </a>in the trade deals such as the recent USMCA replacement for NAFTA that will have long-term advantages for American industry and businesses for decades to come. With the new counter-terrorism strategy, there is no doubt an anticipation to see what the results are during the second half of this Presidency..